Frequently changing temporary exhibitions form a showcase for the large & diverse museum collection. The three beautiful historical buildings Joubert House, Old Mission Church and the KWV Building Complex that comprise the Montagu Museum from an integral part of the architectural heritage of Montagu and Long Street in particular. Since the establishment of the museum in the Old Mission Church in 1975, this building has housed the administrative offices. A collection of pulpit Bibles and church artifacts including old wedding dresses form the focal point of the church with its original pulpit, pulpit cloth and wall text painted by Mr Nico Adriaan van Tuhra. Other important permanent exhibitions are the Indigenous Medicinal Plant research project displayed in one wing, the Francoise Krige collection of paintings and memorabilia and the T.O. Honiball collection of cartoons. Frequently changing temporary exhibitions form a showcase for the large and diverse museum collection. In 2005 Montagu Museum celebrated it 30th anniversary by publishing "Montagu and its People": 30 Stories by Heinie Heydenrych and launching the book at a fashion parade of 30 wedding dresses of yesteryear. The undoubted highlight was the beautiful museum collection of wedding gowns designed and made by Angelique Albertyn, permanent dressmaker of Brink Bros, Montagu. 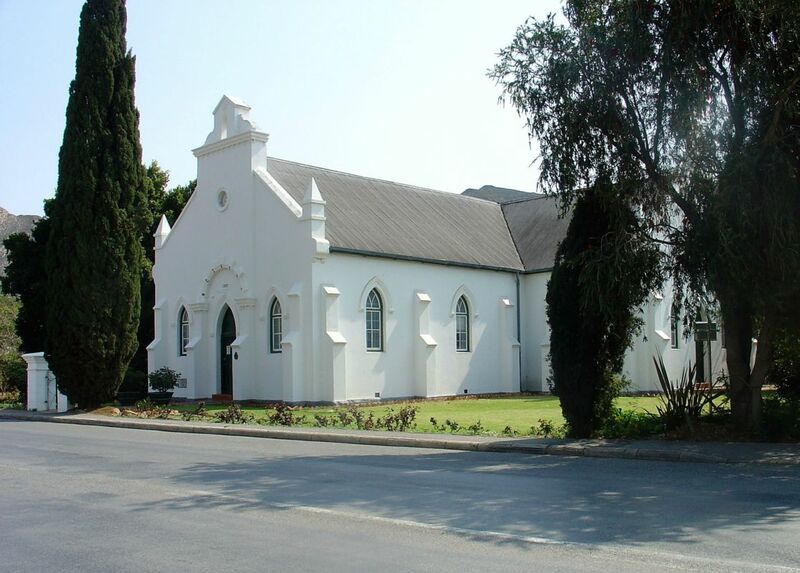 In 2007 the old Mission Church celebrated its 100th anniversary.The archive which adjoins the church is an important research centre which contains a comprehensive collection of historical documents and photos relating to Montagu the district and people as well as the museum library. The KWV buildings on the corner of Long and Kohler Streets that were acquired in the 1990's are fine remaining examples of historical industrial architecture in a rural area. The museum restored the enormous facade to its former glory, and current plans include the permanent exhibition the museum collection of agricultural vehicles and artifacts in the enclosed courtyard behind the complex, as well as Art in the recently opened KWV Art Gallery.